Enjoy Ani Gonzalez's Books? Tell us Why and Win a Free Book! 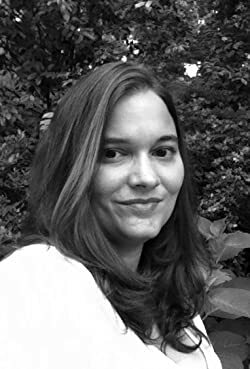 Welcome to Ani Gonzalez's BookGorilla Author Page! We're working hard to bring you the best deals ever on Ani Gonzalez's Kindle books. If you’re a Ani Gonzalez fan, we'd love to have your help in making this author page special. Tell us, in no more than 150 words, why you think Ani Gonzalez is great. Use this webform to send us your submission, and if we select yours we'll offer you one of Ani Gonzalez's books or a Kindle Gift Card as a free gift! Thanks! Please enter your email address and click the Follow button to follow Ani Gonzalez! Three deliciously spooky (and hilariously funny) love stories that will make you believe in magic and romance (and maybe even Mothman!). Discover the haunted town of Banshee Creek, where it's Halloween 365 days a year. A fun, humorous holiday romance...with monsters!Stuck in a snowstorm is bad. Stuck in a snowstorm with the ex-boyfriend you sort-of, kind-of betrayed is even worse. Add a mysterious critter prowling outside and the kooky antics of WPRV, the Most Haunted Radio Station in the USA, and it's a spooky Christmas like no other.